Go Gloucestershire Communications can provide you with the tools to manage a network of low-cost temporary broadband Internet connections for home workers, small branches or temporary locations such as construction sites. It offers a choice of broadband Internet connectivity, including fibre access, together with an optional wireless router. We can offer 30 day rolling contracts, so, no need for you to sign up for lengthy 12 month contracts, for services you only require for a short period of time. We recognise that organisations use enterprise broadband for business applications and to apply appropriate traffic management policies – ensuring that business protocols are prioritised through the network at all times. While all Enterprise Broadband Portfolio products benefit from a helpdesk to helpdesk model for rapid fault resolution, Enterprise Broadband offers the option of direct end-user support – particularly useful for out of hours support to your employees. Broadband Portfolio portal, together with your broadband lines, then those routers will auto configure when connected to the line, including setting username and password. Installation couldn’t be easier. When using the Enterprise Broadband Portfolio, end users can be allocated either a dynamic or static IP address at no additional charge, or can be allocated a block of static IP addresses for a small monthly rental. None of the Enterprise Broadband access options have hard download limits. Enterprise Broadband and Enterprise Connect both benefit from our market leading self-service management portal: Your IT team will use the provisioning and fault management tools provided by the team to support your end users. For example, a diagnostic wizard allows your IT team to remotely test each end user broadband line so that faults are correctly diagnosed at first touch. This service also provides an extensive portfolio of online reports, giving you total visibility of your broadband inventory, including fault tickets, installed lines, orders in progress and so on. The Workplace self-service portal automates the delivery of broadband orders, minimising lead times and reducing errors. You can also order lines in bulk simply by uploading a spreadsheet containing circuit details – and benefit from the same, fully automated delivery. As well as ordering your broadband lines through the portal, you can also order data only PSTN lines to carry the broadband. These can be ordered together with the broadband for simultaneous delivery, integrated billing and integrated support. With our helpdesk to helpdesk service model you can integrate the management of Enterprise Broadband Portfolio products into your own IT support team, so that users continue to benefit from a single point of contact for queries and problems. Online tools are available for your IT support team to carry out remote testing and fault resolution. BT Enterprise Broadband also offers the option of end-user direct telephone support. None of the Enterprise Broadband Portfolio products places any term commitment on individual lines, eliminating any problems related to notice periods and simplifying the process when employees change work style or leave the company. All products in the Enterprise Broadband portfolio have a simple and cost effective pricing structure with no bandwidth usage charges. You receive a single, itemised invoice for all your broadband lines so that charges can be centrally allocated and audited. Will I save money if I switch my business to VoIP? If you have been looking into moving your business telephony to another provider no doubt you’ve been bombarded with offers and claims. How can you identify a good deal from a bad? How can you avoid any hidden costs? Will moving my telephony really save me money? There are a lot of questions to address before choosing a new provider. In this article we discuss the benefits of business VoIP and answer the key question, will I save money if I switch my business to VoIP? The beauty of VoIP is that it can be integrated with existing technology in your business. This means there is no need to buy extra equipment. Typically, this is through hybrid VoIP or hybrid PBX, which combines your existing phone equipment with VoIP. It’s worth asking your potential VoIP provider if they can support this service option for you instead of buying new handsets. 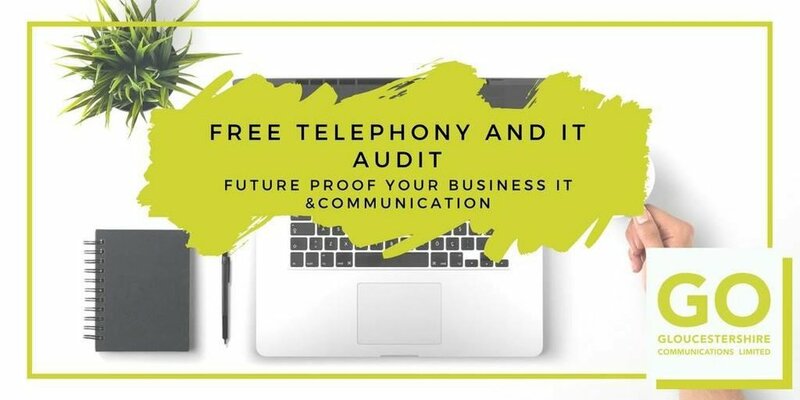 Gone are the days for most organisations having to invest in costly on-premise telephone systems, which can often be over expensive and overly complicated! At the very most some setup/installation charges will be required, alongside some competitively priced desk-phones of your choice - and that is it! Setting up traditional fixed communications demands a lot of time and often comes with high installation costs. They can come with pricey adjustments and high maintenance costs. Adding extensions to traditional phone systems often requires an outside vendor who’s familiar with your phone setup and office to come out and fix or rewire the system. This maintenance costs soon add up and can take crucial working hours to resolve. A hosted solution however has much lower maintenance costs and installation time. Adding users can be as simple as pressing a few buttons from your PC. A VoIP system is full of free features that are simply inaccessible with traditional phone lines. One area to highlight particularly is it’s conferencing and meeting capabilities. This means that even a small business can host international meeting and conferences with ease. For most companies, all they need is hardware with a microphone, speaker and webcams that are usually already included in existing hardware. Moving to VoIP is an important decision as it means that you will be future proofing your communication. You may not be aware but ISDN phone lines will be ceasing as of 2025. This may seem like a long way away however we urge you to start considering a hosted solution now to ensure that you have time to find a solution that works best for your business. The majority of workers are already using mobile phones and research indicates that this is set to rise. This means you should pick a provider that can offer VoIP services to mobile too. There’s no reason why you can’t hold business landline features in your pocket with today's technology. Here at Go Gloucestershire Communications we can also provide business mobile SIM's which you place into all major mobiles. You are then free to work remotely without compromising on any critical business features.